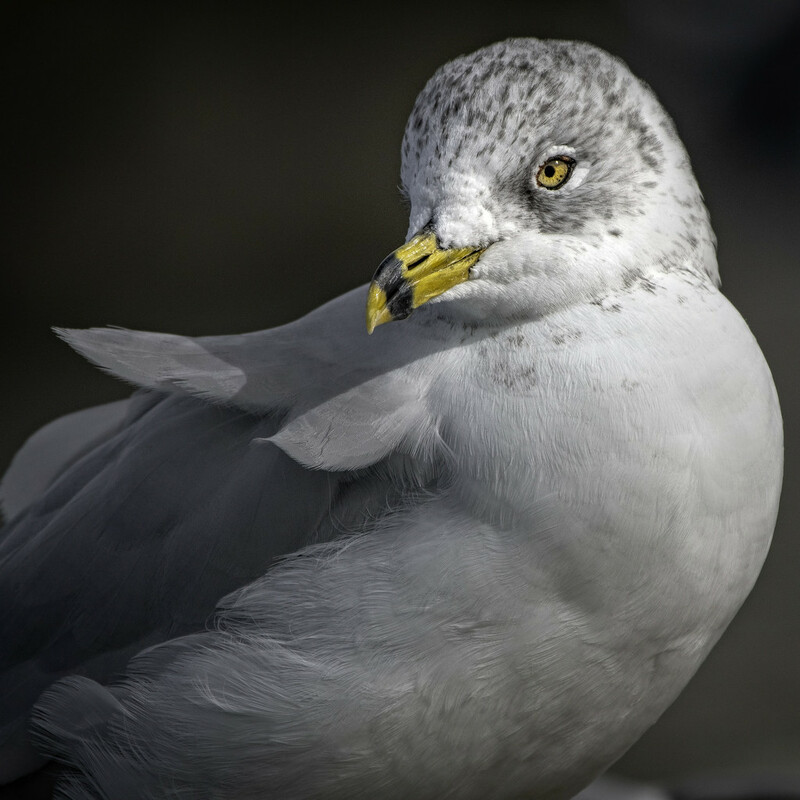 This seagull is no Frank Sinatra (Old Blue Eyes), but these yellow ones are nice. Wow! You have mad skills Mike the detail is awesome and so is the way your work the light! @jgpittenger Jane, the wind was blowing left to right and the feathers are blown up on its back. The seagull is looking around to it's right.